There are lots of fantastic deals to be had with SpaBreaks.com from only £25. 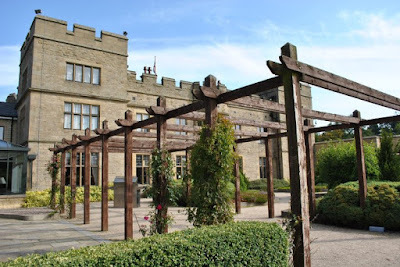 My favourite deal is a spa break at Slaley Hall in Northumberland which includes dinner, bed and breakfast, a 30 minute treatment and spa access for only £89 per person. Bargain! Now that I am aged 30+ and a fan of the quiet life, a weekend in a spa with my friends is the dream! If you are looking for something different and your hen is the outdoorsy type, you are likely to thoroughly enjoy Go Ape at Matfen. Their tree top adventure involves zip wires, swings, high ropes, tunnels and crossings in the spectacular Northumberland countryside. After your afternoon of fresh air you can chill out and relax in the hotel spa and enjoy afternoon tea which we hear is pretty special. The Malmaison sits in the heart of Newcastle's quayside and is a perfect place to chill out or party. We spent a night at the hotel last year and were very impressed with the stylish surroundings, brasserie with a view and cocktails in the bar (avoid the painkiller cocktail if you don't like them strong!). Newcastle Gusto and the Pitcher and Piano are next door if you'd like to head out for the evening but don't want to walk far in your heels and for something really special you could cross the Millennium bridge and enjoy drinks in the Baltic bar with unrivalled views of the Tyne. The lovely folk at DFDS Seaways are offering 2 for 1 mini cruises to Amsterdam which works out at less than £45 per person for 2 nights. I'm not sure you'll find a 2 night city break for a better price anywhere. I know Amsterdam isn't technically Newcastle but the ship does leave from the port of the Tyne. There's lots to keep you entertained on board from live music and cinemas to cocktails on the top deck mermaid bar and it's not every night you can dance the night away with your friends whilst crossing the North sea. Once in Amsterdam you can take inspiration from This Could Lead To Anywhere's blog who has lots of ideas of where to visit in the city. Newcastle is home to over 100 hotels and search engines like Expedia can often find you a bargain deal you won't get elsewhere. There are many budget hotel chains to choose from in the city centre too, including Premier Inn who in fact have 11 hotels in and around Newcastle City Centre. 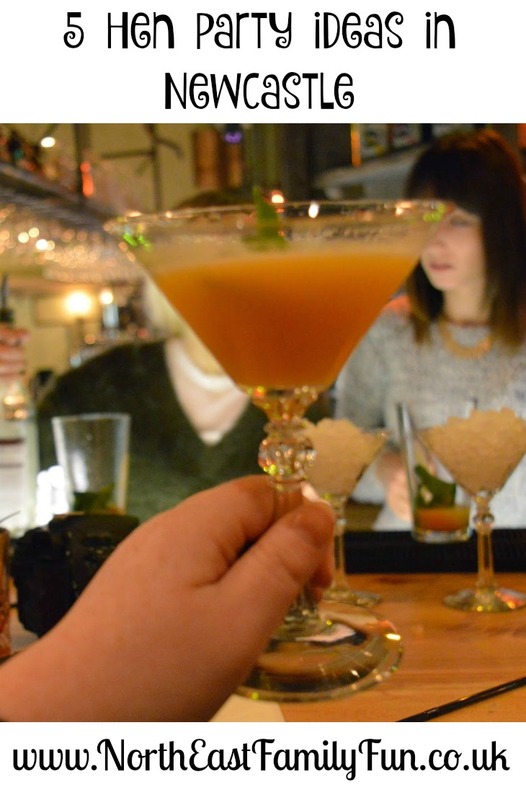 If you save money on your hotel you can afford to splash the cash in some of Newcastle's best champagne bars and enjoy cocktails and live music at the likes of The Botanist. So those are my suggestions for a hen party in Newcastle, I must admit, I am leaning towards a bargain 2 night cruise to Amsterdam! Where would you book?